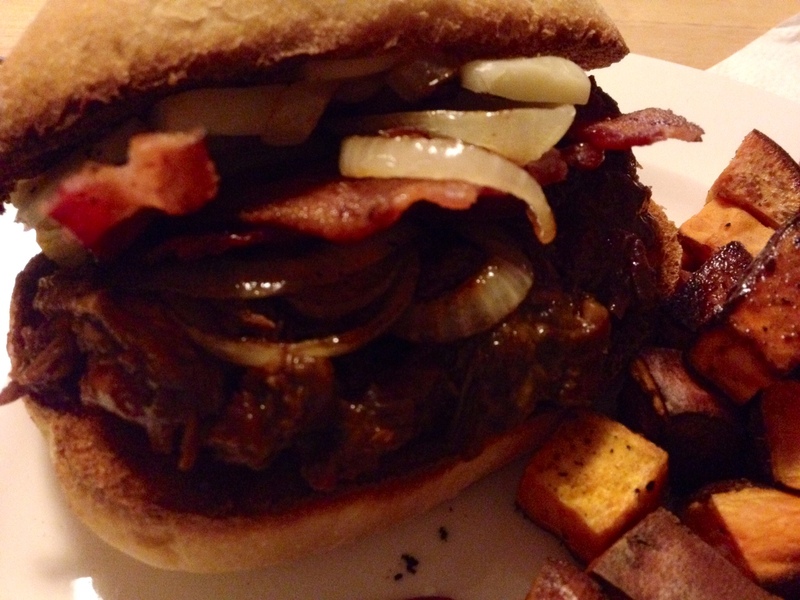 Sweet Potatoes, Bacon, and Brussels Spouts…that’s what it’s all about! Who doesn’t LOVE sweet potatoes? Who doesn’t love bacon? And…some people actually don’t like brussels sprouts but perhaps, it’s because they haven’t been presented with the right recipe. So with that in mind, let’s focus on the green leafy veggie now. My husband and I were tuning into the tube last night and apparently brussels sprouts are the old veggie coming back into style. So if you haven’t jumped on the band wagon yet, get ready to take the leap with these Brussels, Bacon + Bean Quesadillas and home made blue cheese dip. This is a great way to eat your veggies since quesadilla’s cheesy goodness can cover any disdain of veggies. It is also really easy to make, sauteeing bacon takes, what? 3 minutes? Then sauteeing veggies – another 5-10 minutes? I don’t have a panini maker or anything like it so I just let the quesadillas cook in the oven but you could also pan fry the shells, too. I was worried Matt would not like these because 1) he’s a fan of my old school – super cheesy spicy quesadillas 2) it was a big change 3) tortillas were whole grain sprouted BUT he did like these and I think he liked them even more than me. 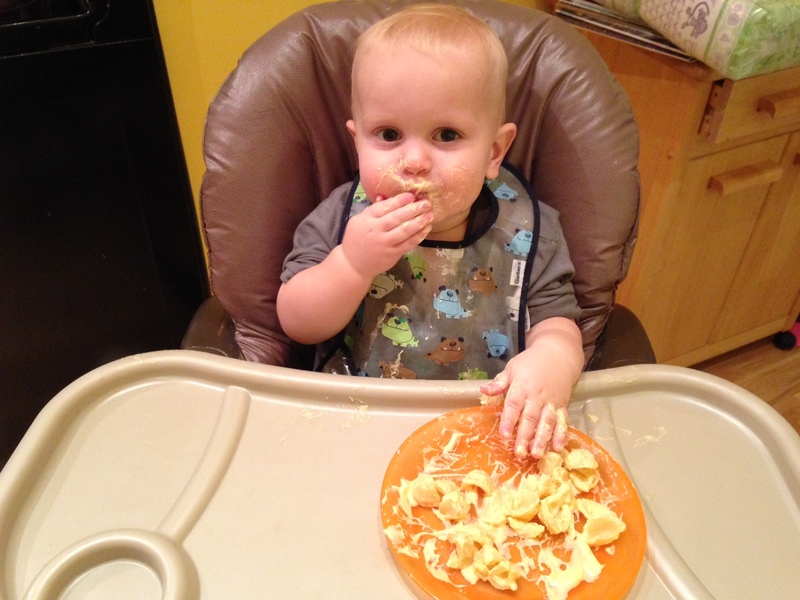 I suppose the bacon helped along with the homemade blue cheese dip…he’s a big fan of condiments. The blue cheese dip is great because it’s a lower fat/high protein and no chemical option since it’s made with greek yogurt! We used the mayo (organic) but it could probably be omitted. 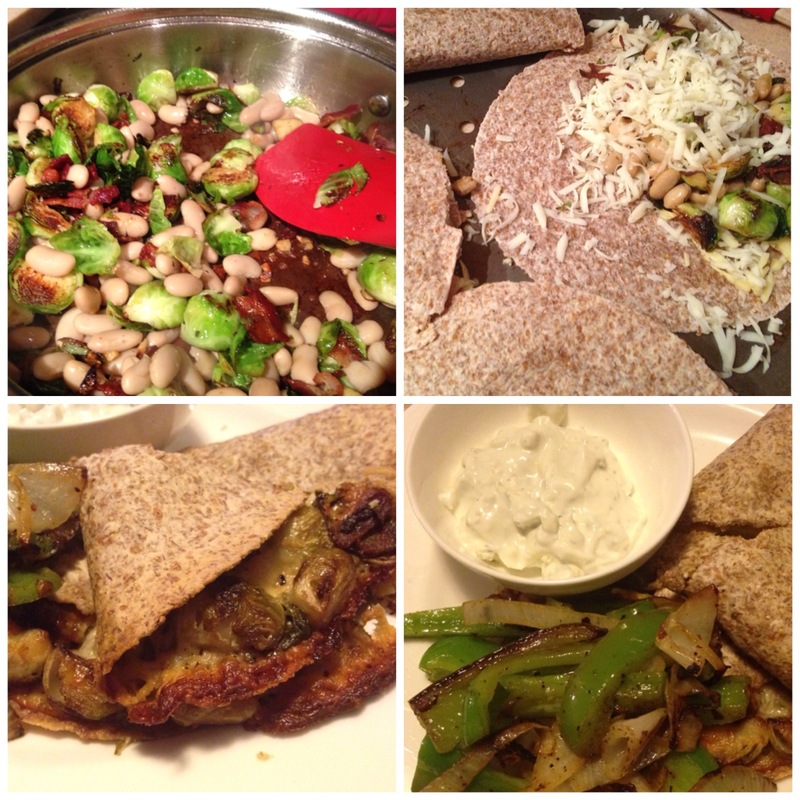 The recipe makes a pretty large portion of veggies so you get at least 4 super stuffed big quesadillas. I also had some leftover peppers so I sauteed those as a side dish with salt, pepper and onions. So while we are on the topic of bacon dishes, let’s have a serious talk about this Caramelized Onion, Gruyere Cheese, Pepper Bacon Pizza. If you want, skip the talk and just make it. Bottom line. Amazing. But if you care to know more, here’s the talk: So I am too lazy to make my own pizza dough – I just got a package of organic Whole Foods Brand pizza crusts which come with 2 and it was only $4.99. The recipe also calls for you to caramelize the onions on low heat for an hour but come on, “Aint nobody got time for that.” I had them cooking on low for about 15 minutes but as the time ticked by I got more hungry and ended up just adding a little extra butter and increasing the heat to medium high. They were still super yummy. I was worried that it wouldn’t be cheesy enough, the recipe called for 12oz of freshly grated Gruyere cheese and I only had a 6oz block (which when grated is actually a lot) but I had some extra goat cheese so I added that on the pizza. 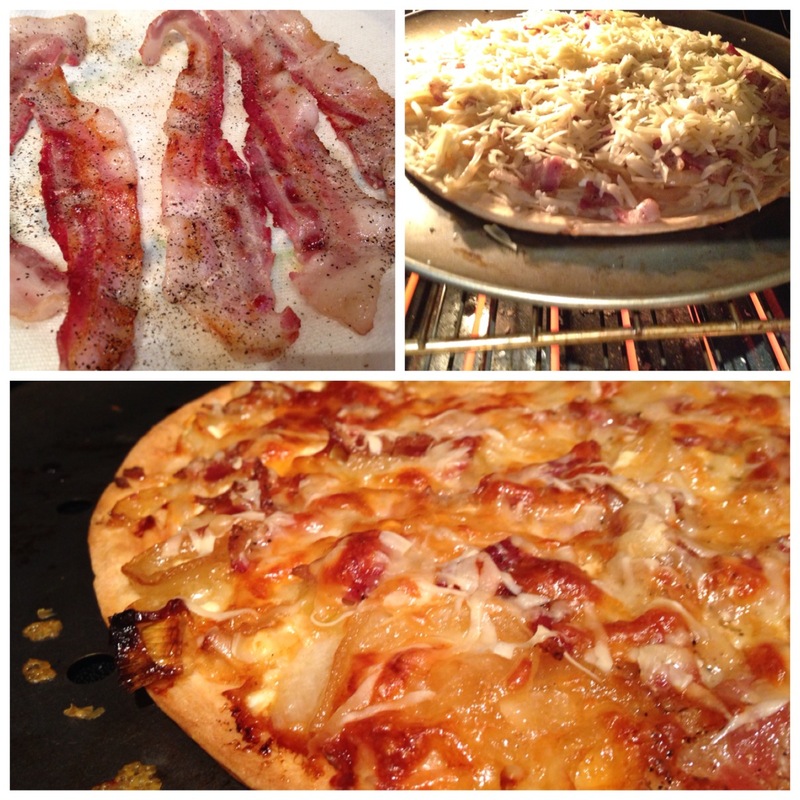 I’m going to suggest that you do the same – the goat cheese goes really well with the bacon and onions! Restaurant quality pizza, even Braedan begged for bites – which actually doesn’t say much since the kid eats rocks, leaves, and mulch but trust me, it’s delicious! Ok, on to the sweet stuff. Tis’ the season of SWEET POTATOES! If you don’t currently eat sweet potatoes get on board. If you don’t like sweet potatoes seek help because being certifiably insane would be the only logical reason why someone wouldn’t like their orange goodness. 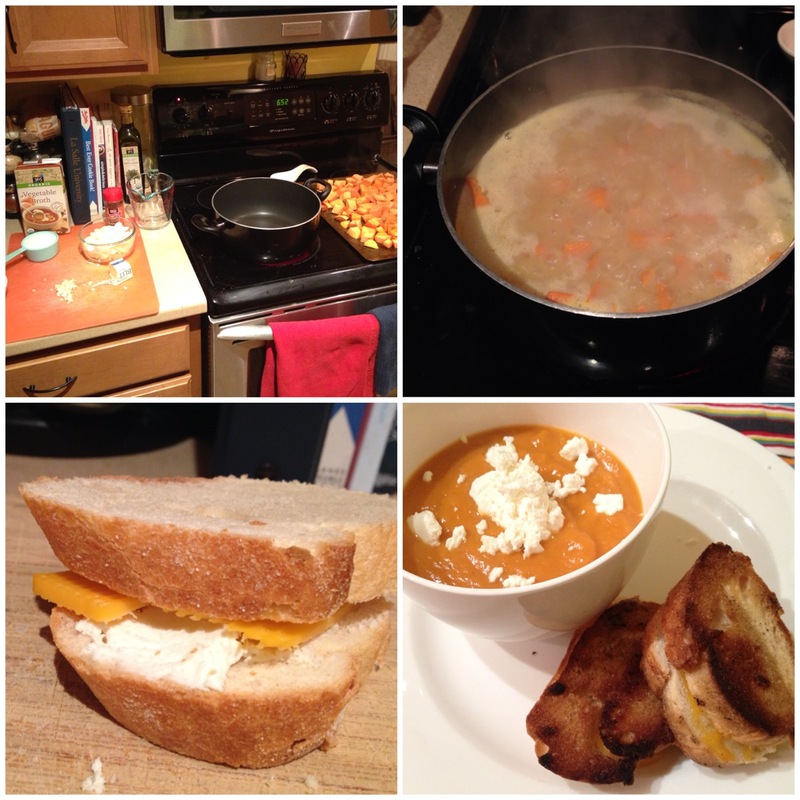 The first of 2 sweet potato recipes is a Loaded Sweet Potato Soup with Grilled Cheeses. This soup is super yummy, easy to make and relatively healthy (minus the toppings). Make sure you have all the ingredients you need and set them out since you add them pretty quickly. You can serve it chunky or smooth. I went for the smooth version so I could dip grilled cheeses in it and so I could put some in Braedan’s re-usable squeeze pouches. Basically meaning, once the soup was done, I put it in the food processor and pureed it – after talking to a co-worker though, I think it’s time I invest in an emulsion blender. Also – I couldn’t find Mascarpone cheese and even so, it’s on the pricier side so I used whipped cream cheese and goat cheese crumbles for my topping. I was too lazy to do the fried onions and we were fresh out of bacon. Ok, the important aspect of this meal is to make sure you really do up your grilled cheese. There are a couple keys when it comes to making a grilled cheese (my husband calls me the grilled cheese master). You’re probably thinking, “Kellie, everyone knows how to make grilled cheese” but you may be making some rookie mistakes! 1) Butter. None of that, I’m just going to spray the pan with cooking spray. And make sure you put the butter in the pan, not on each side of the bread. 2) Medium/low heat. You can’t go burning your bread from the instant you put it down. How will the cheese melt? 4) Lastly, good cheese. For our sandwiches I spread goat cheese on one side and topped it with some sharp cheddar. The combo will leave you wanting more. 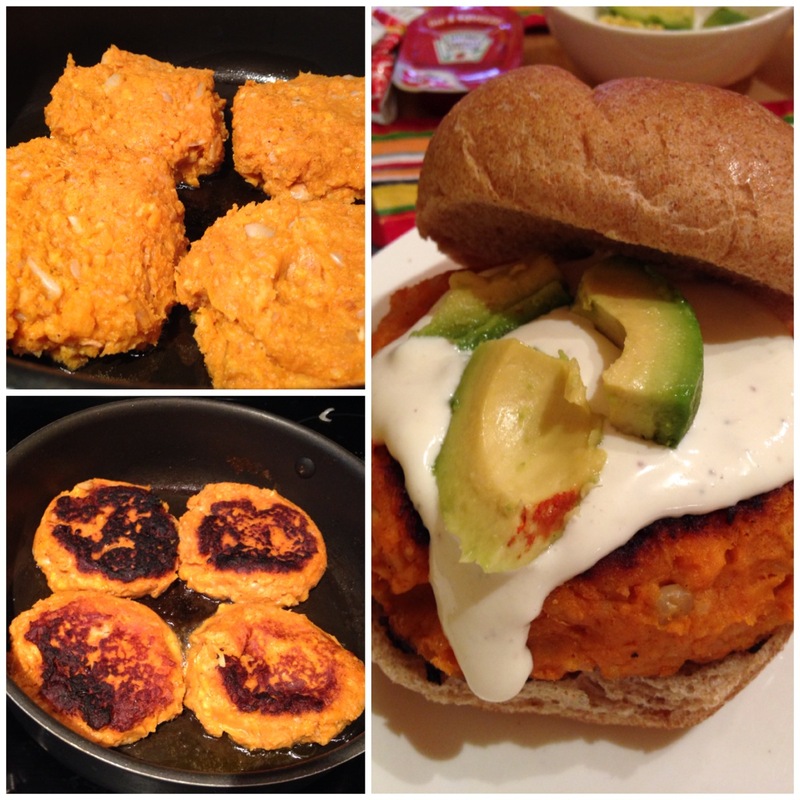 On to the next and one of my favorites from this past week – Sweet Potato Burgers with Avocado and a Roasted Garlic Cream sauce. First, these are super easy. Secondly, they make a lot so hopefully they freeze well since I have 4 patties in my freezer. Lastly, they are a people pleasers – even if those people are with carnivorous appetites (like my husband). So make them, enjoy them, you won’t regret it. That’s really all I have to say about these bad boys. I’m not sure about you guys but when my husband and I make pasta, we always have a ton leftover which usually turn into buttered noodles or some type of pasta dish for my son’s lunch the next day. But the poor little dude should have some luxury, too. So I quickly created Tot Pleaser Quick Mac N Cheese (yeah, I know you like my recipe names). You can do this stove top in a small pan but I ended up using the microwave. In microwave melt the butter (takes less than 20 sec) then add the flour, milk, cheese. Microwave the ingredients for about 30-40 seconds – keep an eye on it to make sure the milk doesn’t bubble over. Once done – top the pasta with cheesy sauce and serve. If sauce appears too runny, add a little more flour. If you do this on the stove top, melt butter then add flour and create roux. Once it’s golden and bubbly – add in the milk and cheese and allow to thicken. Here are a few more recipes that are definitely worth mentioning but for the sake of time – briefer descriptions. 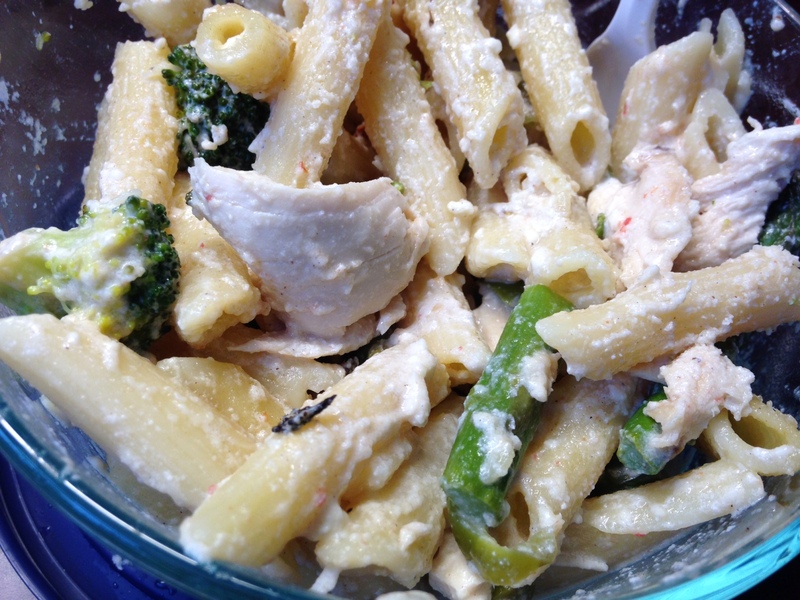 By suggestion of Megan – The wonderful Confetti Chicken Pasta. I forgot to take pictures as I was cooking so this is just a picture of my leftover pasta the next day so it lacks in beauty. Also note- I used green pepper instead of the suggested yellow pepper because organic green peppers were on sale so it wasn’t super colorful (aside from the cherry tomatoes)! Thanks for the recipe suggestion Megan! By suggestion of my lovely sister, Lynsey, I present: Sweet Tilapia Taquitos with Creamy Tomatillo Sauce (inspired from her recommended recipe using pork). 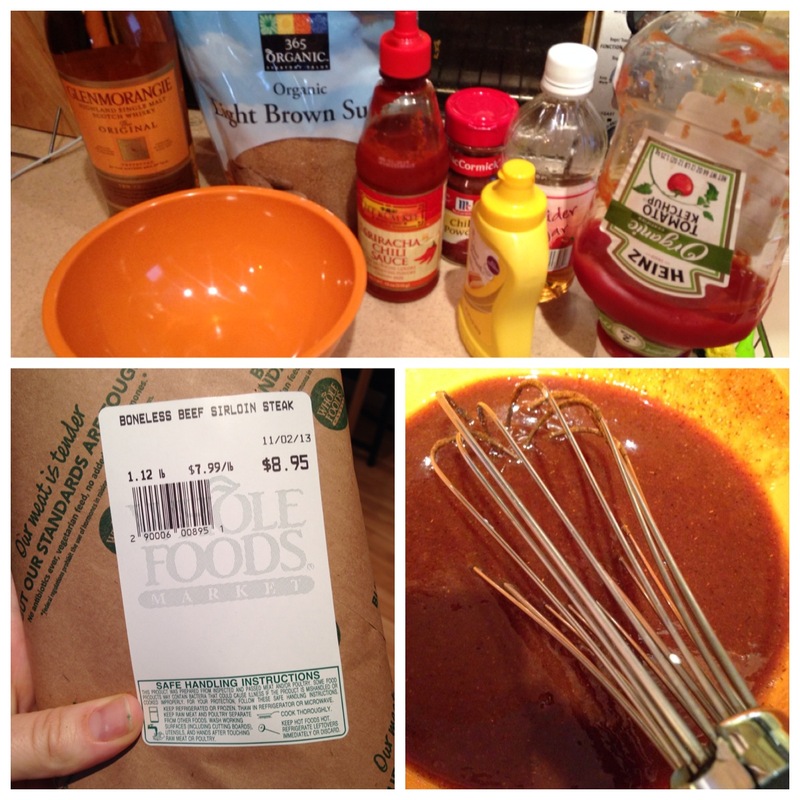 I made some edits to this recipe but the original (per my sister) is amazing as well. 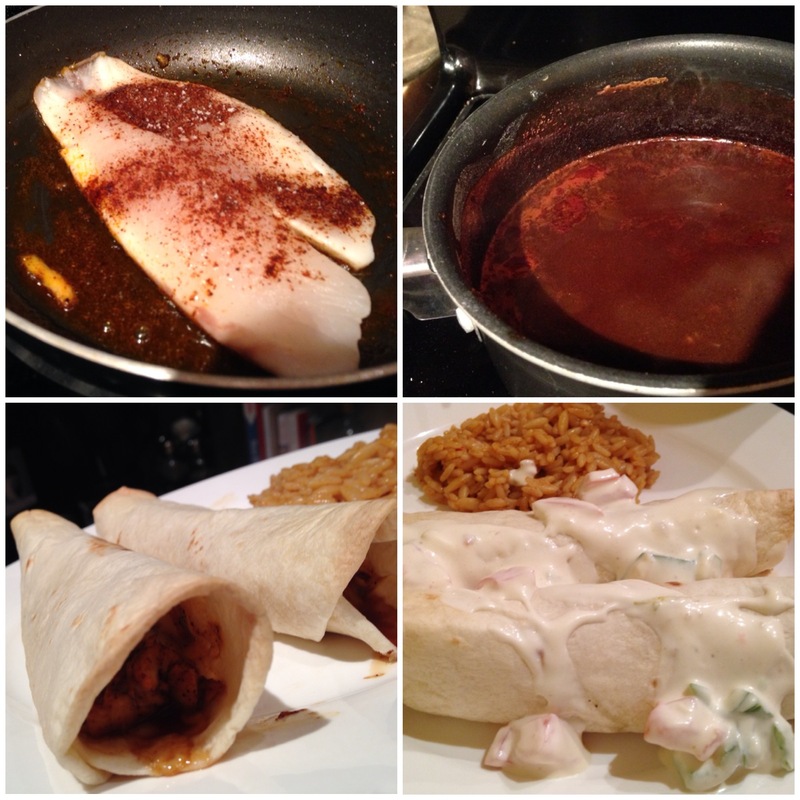 For my tilapia I did a homemade taco seasoning which is pretty much chili, garlic, and onion powders, paprika and cumin. For the enchilada sauce inside the taquitos – I used veggie broth, chili powder, brown sugar, cumin, flour, and some green chilies. My apologies to my husband, Matt, for using his good whiskey for this Slow Cooker Whiskey BBQ Beef tenderloin recipe – it was only a few tablespoons though! If you make this, consider adding some caramelized onions, bacon and cheddar cheese. YUM! *Note – recipes use all organic ingredients or dairy/meat products that do not use hormones, antibiotics etc.